Tello Vs. Spark: Which DJI Starter Drone is Right For You? Despite appearances, the Tello and Spark are two very different drones. The DJI Spark is a powerful flying machine in a pint-sized package. It includes advanced features and sensors, not the least of which is GPS guidance. The Tello is a true beginner drone designed for kids of all ages. At just $99 it blows the low-price competition out of the water. If the Spark is the drone you feel comfortable flying around your kids, the Tello is drone you feel comfortable letting your kids fly. Let’s dive in deeper to see which drone makes sense for you. What Makes These Drones Similar? The DJI Spark and Tello have a lot in common but are two very different drones. Both of these quadcopters are probably the best in their price class. If you can find a better $99 quad than the Tello or a better $399 drone than the Spark then please let us know, because we can’t find either. While the options for drones under $100 are seeming endless, none stack up to the Tello in terms of flight time, camera quality and intelligence. The Spark has almost no rivals if you are looking for a high-quality GPS drone with a gimbal-stabilized HD camera in a small package. Both of these quadcopters are small and portable. The larger Spark measures 143 x 143 x 55 mm and weighs 300 grams. The smaller Tello is 98 x 92.5 x 41 mm and weighs only 80 grams. It probably isn’t an accident that the Tello looks a lot like a smaller version of the Spark. DJI is the clear leader in drone technology and that is important when talking about both the Spark and the Tello. 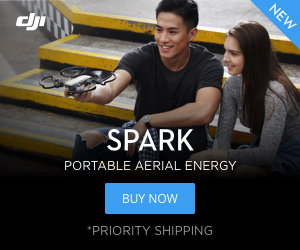 DJI set out to build a drone for everyone when they created the Spark. They built a small GPS marvel when they did. However, not everyone can afford a $400-700 quadcopter. That’s where the Tello comes into play. Ryze, Intel, and DJI came together to create a smaller, more affordable drone that even more people can enjoy. Both of these tiny marvels utilize DJI technology to make them stable in flight and both offer pilots advanced flight modes. Who wants a piggy back ride? The DJI Spark will give you a maximum flight time of 16 minutes. The Tello will give you a maximum of 13 minutes in the air. Until the Tello, the Spark’s 16 minutes of flight made it the shortest flying drone in their lineup. While 13 minutes is a few minutes shorter, it is actually a pretty amazing number. There are very few drones in this price class that can fly for more than 10 or 11 minutes. Either way, 16 vs. 13 shouldn’t be a deal breaker. Flight times will vary depending on how you fly and how windy it is. What Makes These Drones Different? Check out the Spark in Lava Red with the Optional Remote. One of the biggest difference between the Spark and the Tello is the motors. The Spark uses powerful and efficient brushless motors. The Tello relies on brushed motors. Brushed motors are less expensive, but they can occasionally burn out due to low quality or poor implementation in the design of the drone. You likely don’t need to worry about DJI putting low-quality motors in their Tello, but even the best brushed motors degrade in performance over time. Brushless motors cost more but they are more efficient, generate more thrust, and have longer lifespans. The powerful brushless motors on the Spark can even carry a 360° camera almost the same size as the drone itself, check out our video below. The Tello tops out at 18 mph whereas the Spark can hit 31 mph in Sport mode. The Tello top speed is nothing to write home about but it is plenty fast for what it is, especially when flying indoors. The DJI Spark has a 12MP camera that is capable of shooting 1080p video. It can shoot panoramic pictures and can also create “tiny planet” 360 pictures. It is stabilized on a mechanical two-axis gimbal for smooth footage. It is a much better camera than the 5MP camera in the Tello. That said, you’ll be hard-pressed to find another camera that is even half as good as the one in the Tello for under $99. The Tello’s camera is capable of 720p video and even has digital image stabilization. This works like a digital gimbal to help smooth out video footage. No, it doesn’t smooth out everything, but definitely helps. Take a look at the camera on the Tello. It may not have a gimbal, but it does have digital image stabilization. The DJI Spark has obstacle avoidance sensors. They will detect objects directly in its path, alert the pilot and stop to avoid a crash. The Spark also has sensors on the bottom of the drone to help it land. The Tello doesn’t have the obstacle avoidance that the Spark does. The Tello has no obstacle avoidance but does have some sensors to help it land, including a camera and IR proximity sensors. The Tello has a range of 100 meters. You can fly the Tello using your smartphone or you can purchase a Bluetooth controller. Either way, you are limited to a maximum range of 100 meters and likely less than that in most cases. When flown with just a smartphone, the Spark also has a range of 100 meters. If you upgrade to a Spark remote, which we strongly recommend, then the Spark’s range is increased to 2000 meters. Take a look at the DJI Tello from above. The Gamevice is the recommended remote to control your Tello. DJI recommends the GameVice controller to control the Tello. Adding a physical remote makes flying a little easier and gives you some added control. Take a look at the GameVice controller. 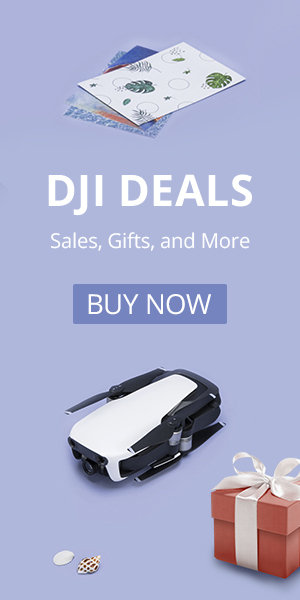 You can order it directly from DJI or pick one up from Amazon. There are models that work with iPhones, iPads and Android devices. It is a small and compact controller and will also double as a gaming remote for your favorite mobile games. One of the nice features of the Tello is that it can be used with Scratch and other computer programming systems. It is programmable and can be used in a variety of different ways and only your imagination is the limit. This is not a feature available on the Spark, and for good reason. While the Spark is small and relatively safe, it is not the drone you want crashing into your wall when your computer program doesn’t work the way you think it will. Obviously, the cost is a very important factor when purchasing a new drone. While the Tello starts out at $99, that doesn’t include $19 for an extra battery and the $40 remote that you will want to fly with. Add that up and you are at a price tag of $158. That isn’t cheap but is still a lot less than the Spark. The DJI Spark starts out at $399, but we highly recommend getting the Fly More package that includes the remote, a second battery and a few important extras. The Fly More package will cost you $599. You might be wondering how we created a 1:1 scale model of the DJI Tello. We reverse engineered the Tello based on pictures and dimensions that we found. Then we printed it on a 3D printer and gave it a nice paint job. We got some motors, props, and a donor drone for the flight controller and we put it all together. The model isn’t perfect, but it is pretty darn good. The scale is correct since we know the prop size of the Tello is 3 inches. Click here to learn more about the 3D model and download it for free. Looking for a drone under $200 but you want something a bit bigger? Check out our complete list of the best values under $200. If you have a tighter budget and aren’t quite ready to spend close to $100 then check out our best value drones for under $50. While you’ll have to wait until sometime this Spring to pick up a Tello you can get a DJI Spark today. It also has some excellent accessories like the portable charger below. If you still aren’t sure but are willing to wait, the DJI Spark 2 is hopefully just around the corner too. The DJI Spark has some excellent accessories like the portable charger.